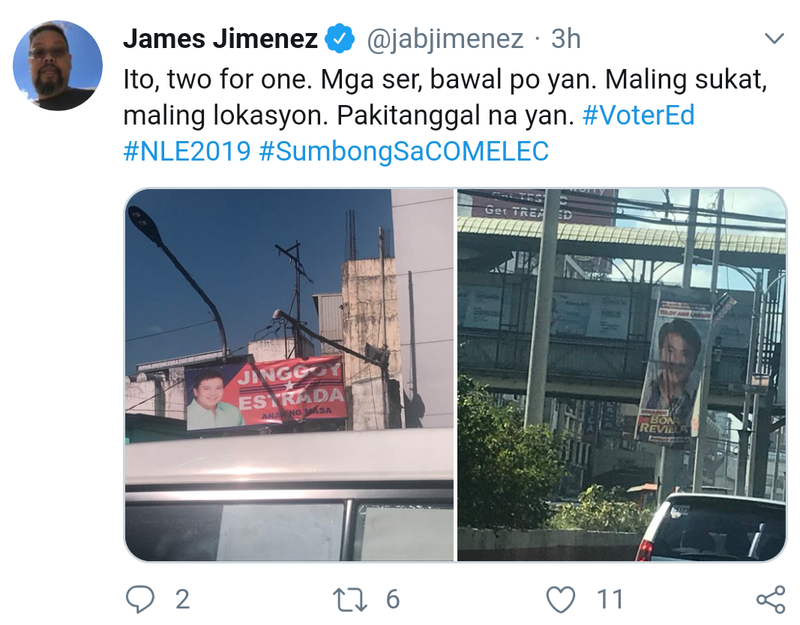 (Eagle News)—The Commission on Elections on Tuesday, Feb. 12, called out several national and party-list candidates for violating the requirements for campaign materials. 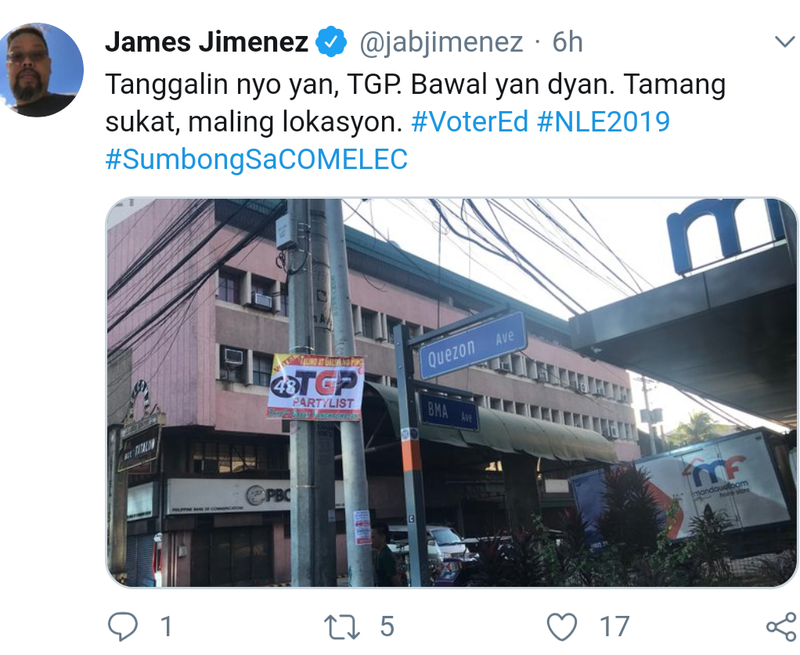 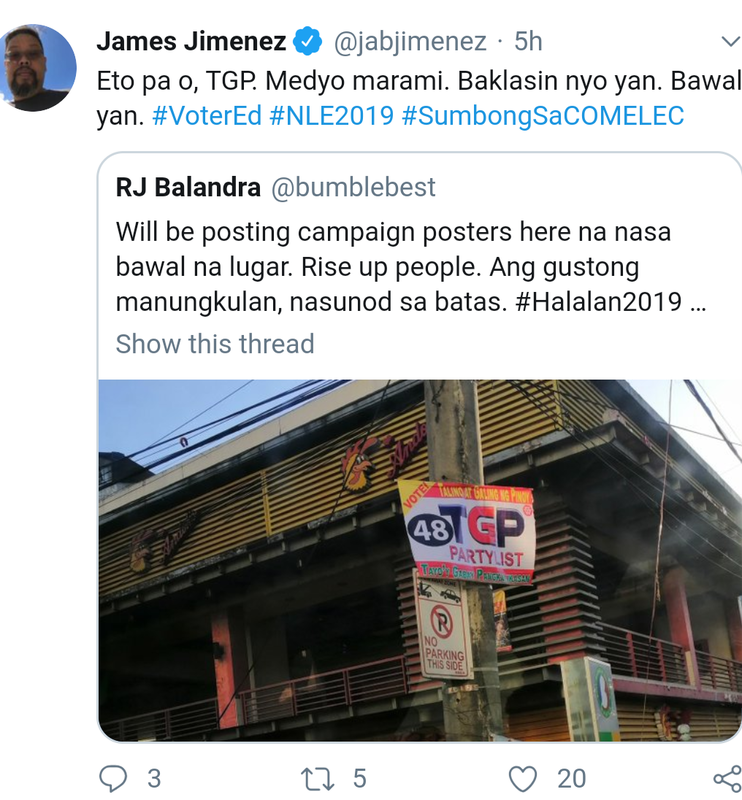 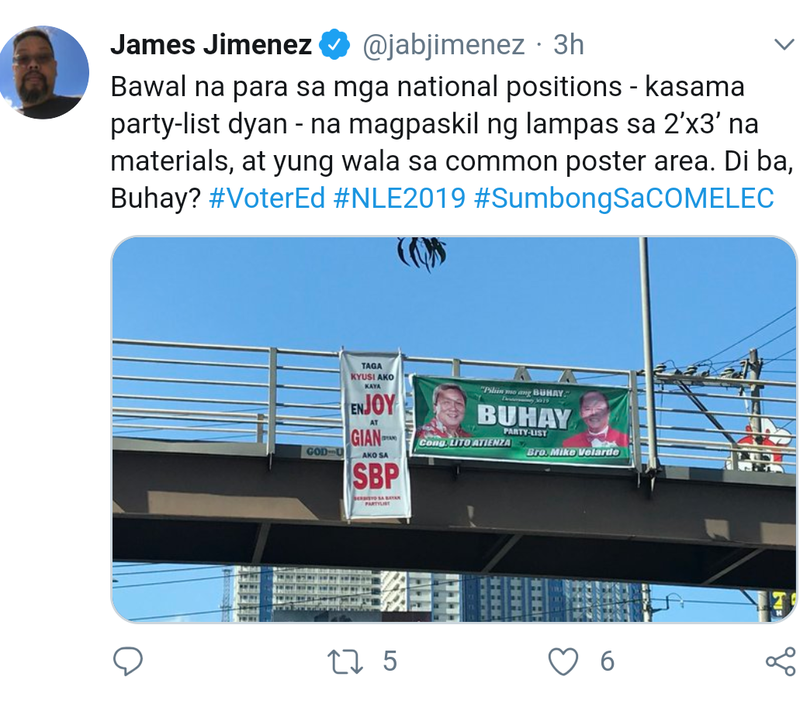 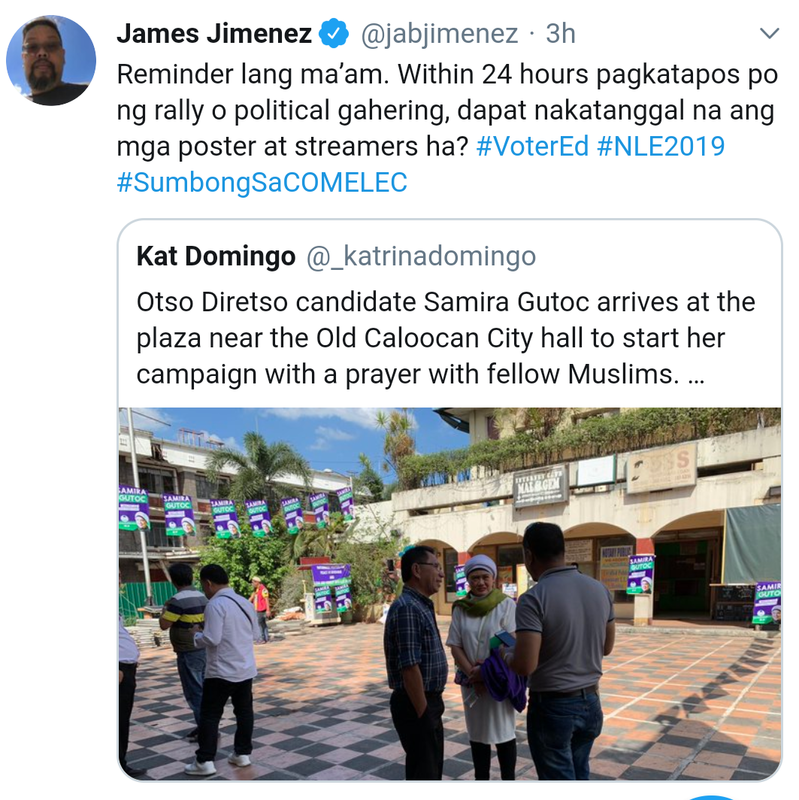 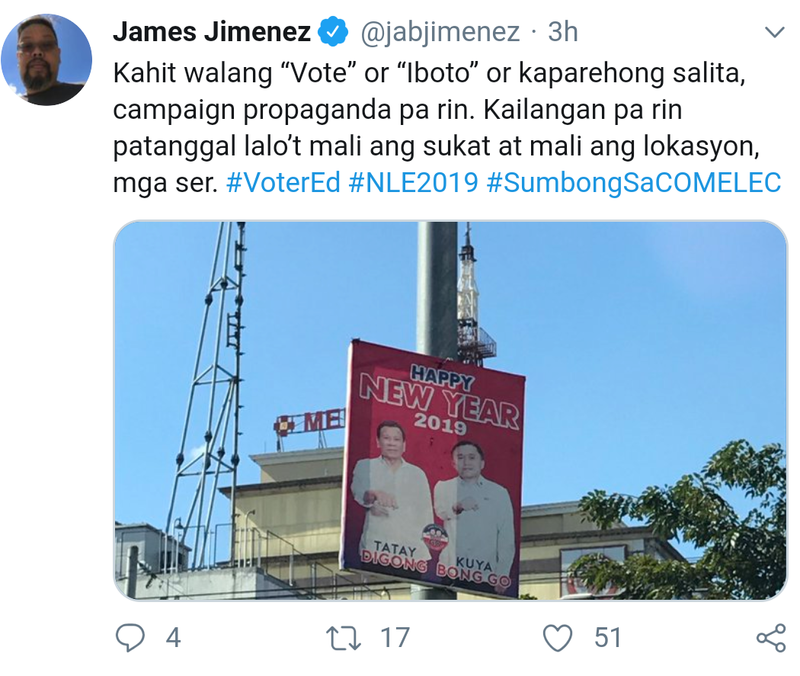 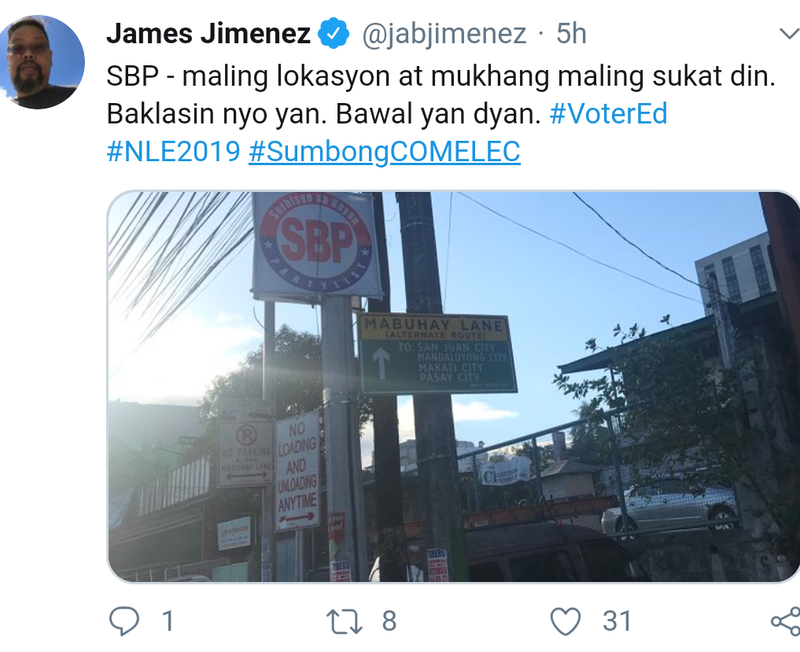 Comelec spokesperson James Jimenez called the attention of the candidates in a series of tweets posted on the same day the campaign period for those bets kicked off. 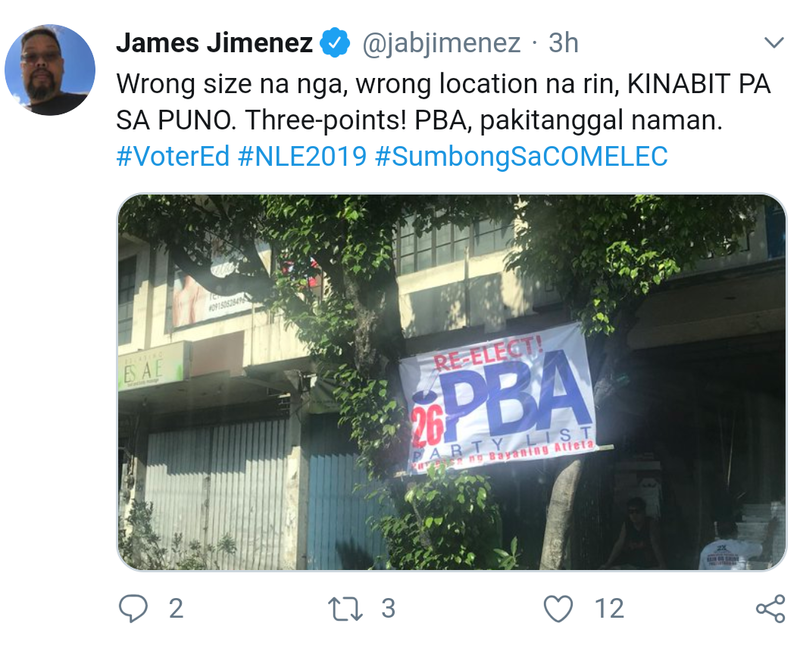 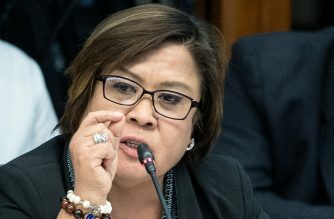 Among those Jimenez called out were the camps of Bong Revilla, Mar Roxas, Bong Go, Jinggoy Estrada, Francis Tolentino and Sonny Angara. 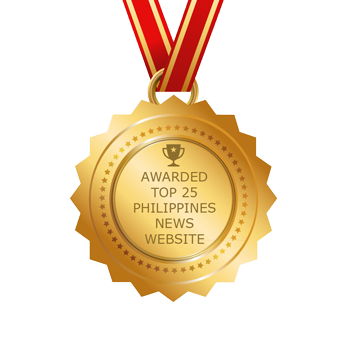 He also called the attention of the Pwersa ng Bayaning Atleta, Buhay, among others. 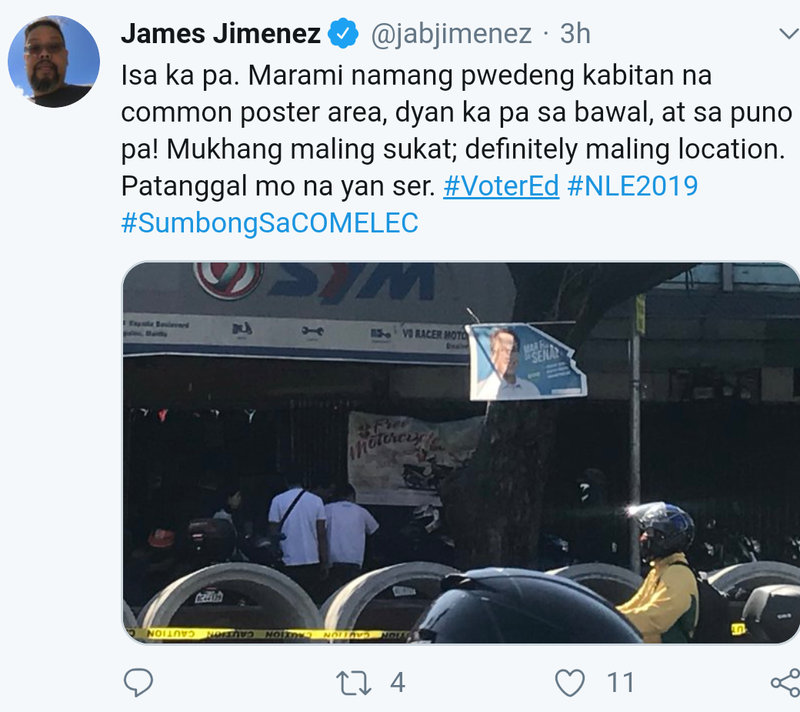 Under Comelec rules, posters should have a maximum size of 61 centimeters by 91 cm., or 91 cm. 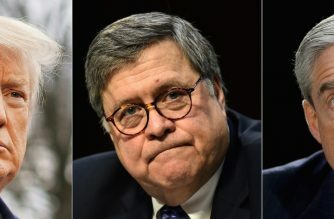 by 61 cm. 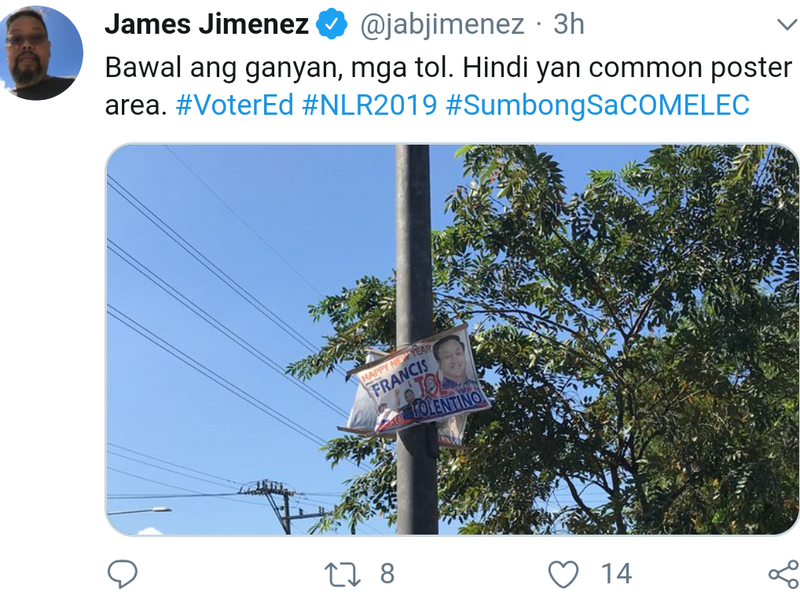 They are also only allowed in common areas such as parks. 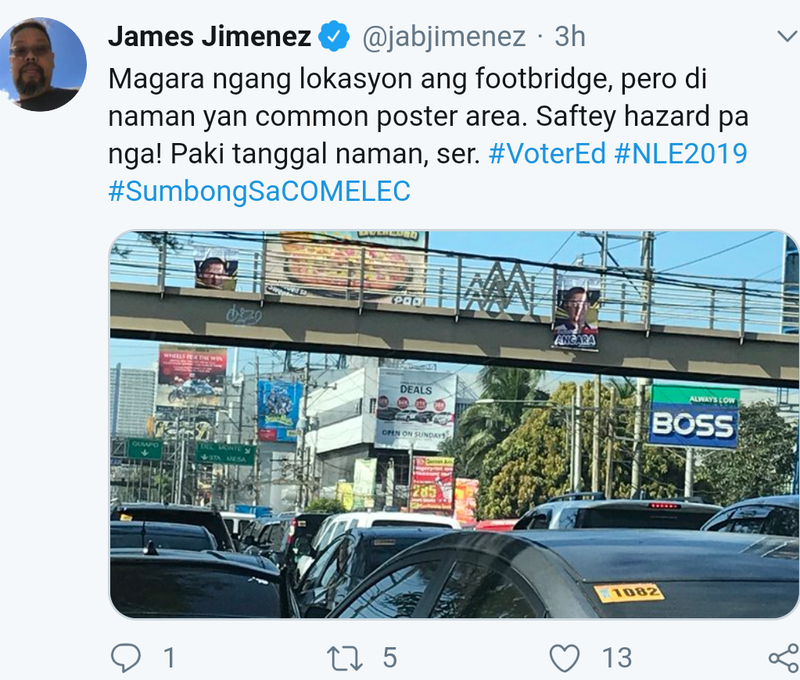 Footbridges and trees are not considered common areas. 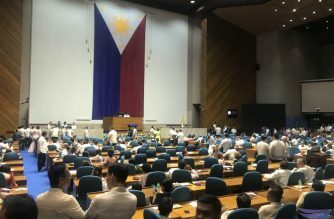 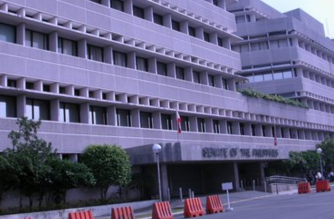 The campaign period for candidates running in the May elections will run until May 11.